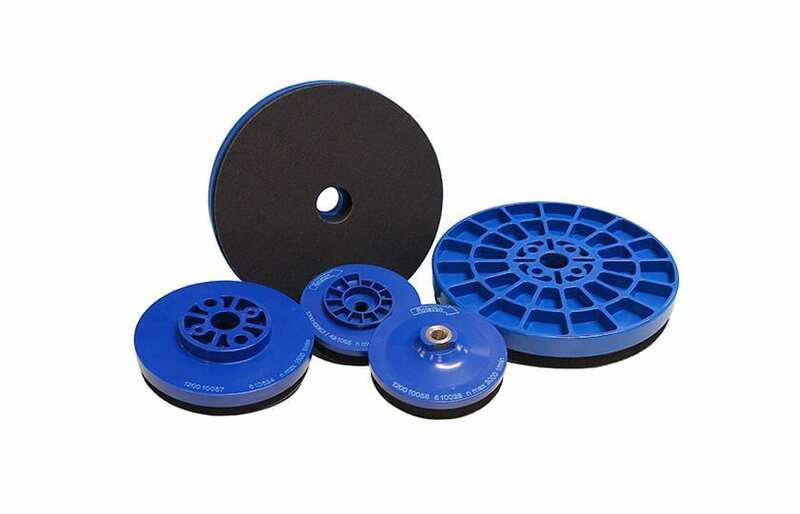 With our velcro supporters FAPI-M14, FAPI-TRIM, FAPI-150 and FAPI-250 you can mount all kinds of velcro-backed grinding discs easily. Due to the different mountings and diameter they are usable for many purposes. On handmachines as well as on stationary grinding and deburring machines.